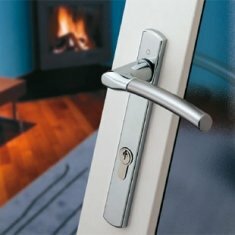 Yale Platinum 3 Star Euro Cylinder, 35/35 (70mm) size with anti-snap on 35mm exterior side only. More Yale Platinum Lock sizes available. 3 security keys supplied per lock with bar code for key cutting (extra keys can be added in the basket £6.99 + vat). 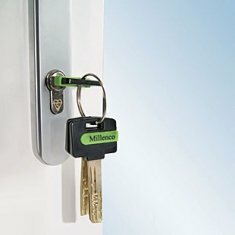 NEW: Keyed-Alike Service - all sizes and colours in the DL30 range can be keyed-alike (select the option in the basket). Separate sets can also be ordered if needed along with extra keys. Please note that only 3 keys will be supplied in keyed-alike sets regardless of the number of locks purchased. Extra keys may not be be to Yale design shown but similar and same specification. Recognised as a TS007 3 Star Kitemarked anti-snap euro cylinder. Anti-snap and anti-bump with anti-pick, anti-extraction and anti-drill resistance built in as standard. 10 year Yale mechanical guarantee. Provides maximum security against known euro lock attacks like lock snapping and lock bumping. Please note: This page is for a 35/35 size DL30 Yale Platinum 3 Star Euro cylinder. 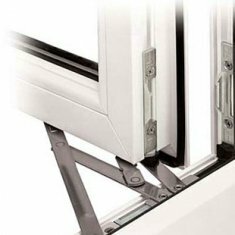 If you require a different size please click to the full range of Yale 3 Star sizes here. 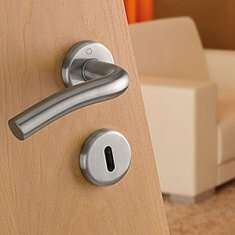 Sizes: This Yale Platinum 3 star lock is 70mm in total length size. 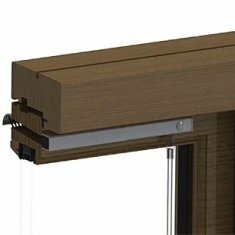 The anti-snap feature is only built into the exterior side only so care is needed when fitting to the door to ensure the anti-snap side is facing the exterior of the door. This is marked on the lock itself on the 35mm side with the marking EXT. Tools Required: Philips screw driver. This 35/35mm Yale Platinum lock is supplied with one cross headed machine screw. 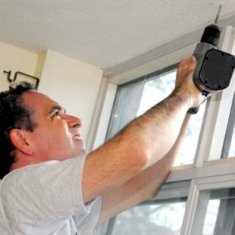 As a replacement lock you may be able to use the existing screw in your door if the length is not correct. Made from solid brass and plated for a polished finish on the interior and exterior faces of the 35/35 euro lock. You can follow our simple euro lock installation video or our guide on how to replace a euro cylinder. 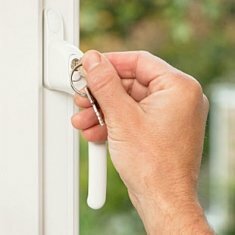 Installation of a Yale Platinum lock is simple requiring just the removal of the side screw from the door and turning the key 5-10 degrees to line up the cam which then allows you to slide the complete euro cylinder out of the door. Installation of the new Yale lock is simply the reversal of this procedure. When first measuring please ensure the sizes are to centre of the cam or the screw hole and then back to each end of the cylinder. 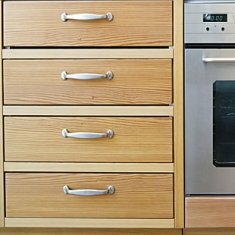 Take special care to ensure that the outer/exterior size is noted as this is the one you need to order with the anti-snap feature. This is marked as (AS) on the size 35mm with this feature.